To buy tickets to a premiere, click here. 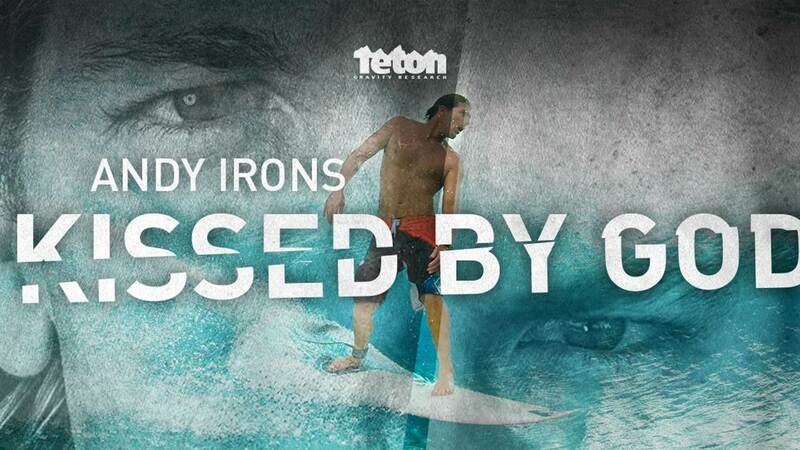 'Andy Irons: Kissed By God' is the untold life story of the late Andy Irons. Under the wild spirit and frenetic energy that Andy brought to the surfing world, there lies a story that serves as a cautionary tale. A tale of addiction and an internal struggle with his mental health. Andy won three consecutive world titles, rattled Kelly Slater's cage and delivered some of the best surfing the world has seen, despite battling his own demons. However, they were also his undoing. Andy wasn't synonymous with religion, so why “Kissed by God”? This is how Andy describes what surfing feels like to him in a candid interview. I think it is more than fitting. For those who surf whether professional or as a weekend warrior, I think all can relate to the feeling of freedom and peace that comes with paddling out into the open ocean. The film is set for an Australian release in the not too distant future and then be available for digital download a little later. It was released in the US earlier this year to rave reviews, and I for one can't wait to see it when it comes to Melbourne for its premiere screening. That’s really interesting and shows how we want to see people, rather than seeing the truth.